Are your children getting all the nutrients they need for optimum health? Krugersdorp’s homeopath Bianca De Canha gives us the lowdown on supplements. 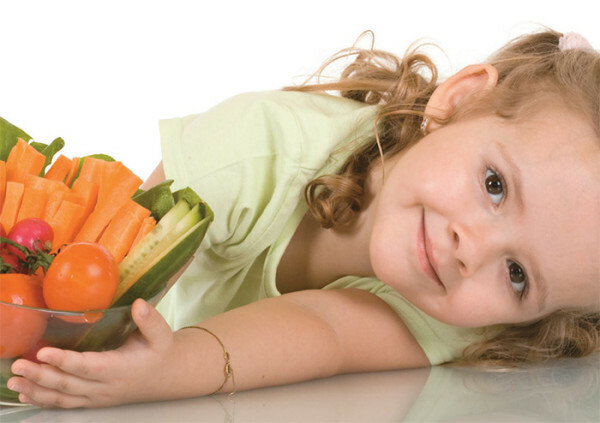 Children need a lot of vitamins and minerals to keep their developing bodies and minds in good shape. Recent studies on the quality of our foods show that the nutritional value one apple had 15 years ago, equals the nutritional value of 28 of the apples available today. Your children’s nutrition plays a significant role in their learning and development. Fresh fruits and leafy, green vegetables contain the most essential vitamins and minerals, and are an excellent source of fibre. Protein is essential for body growth and repair. Whole grains such as oatmeal and brown rice are vital components of a child’s diet. It is best to serve your children several small meals and snacks throughout the day, comprising a variety of foods, for sustained health and energy. Does my child need a vitamin and mineral supplement? Your children should be on a supplement if they are not eating regular, well-balanced meals, have chronic medical conditions such as asthma or digestive problems, and are taking medication. Children who are particularly active, who play physically demanding sports or eat fast, convenience or processed foods, may need a supplement too. Or if your child is on any kind of restricted diet, such as a vegetarian diet, iron supplementation is usually required. In the case of a dairy-free diet, a calcium supplement could be necessary. When children drink a lot of carbonated drinks, vitamins and minerals are often leached from their bodies. They will also benefit from a good supplement. Vitamins work by setting off chemical reactions in the body, which promote normal functioning. This regulates vital bodily processes and helps to metabolize different foods. Vitamins are key components of the body’s defence system, called the immune system. A body that does not function well is prone to disease. Vitamin A – promotes normal growth and development as well as tissue and bone repair. It is essential for a supple, healthy skin, eyes and vision, and improving immune responses. Good sources include oily fish, meat, green vegetables, milk, cheese, eggs and yellow to-orange vegetables such as carrots, yams, sweet potatoes and squash. Vitamin Bs – the family of B vitamins, B₂, B₃, B₆, and B₁₂ help with metabolism, energy production and a healthy circulatory system. B vitamins are also essential for nerve functioning, as well as coping with emotions and stress. Good sources include meat, chicken, fish, nuts, eggs, milk, cheese, beans and soybeans. Vitamin C – is essential for the prevention of colds, and for promoting healthy muscles, connective tissue and skin. Good sources include citrus fruit, strawberries, kiwi, tomatoes, and green vegetables such as broccoli. Vitamin D3 – promotes bone and tooth formation as it helps the body to absorb calcium. Good sources include milk, cheese and yogurt (especially fortified dairy products), egg yolk and fish oil. Calcium – helps build strong bones, which is essential for a growing child. It is also necessary for nerves and muscles to function properly. Calcium should be taken with Vitamin D₃, magnesium, zinc and copper for maximum absorption. Good sources include dairy products, tofu, green leafy vegetables, almonds, sesame seeds and calcium-fortified orange juice. Essential fatty acids – assist with brain function as well as with decreasing inflammation and discomfort. Essential fatty acids can be found in flaxseeds, pumpkin seeds, salmon, tuna, sardines, broccoli, kale, papaya and nuts. Iron – builds muscle and is essential for the production of healthy red blood cells. Iron deficiency is common in adolescence, especially among girls once they begin to menstruate. Good sources include beef and other red meats, turkey, pork, spinach, beans and prunes. Probiotics – are actual live cultures of friendly bacteria. They support healthy intestinal flora and consequently the immune system. Probiotics should be taken with prebiotics, which stimulate the growth and/ or activity of bacteria in the digestive system. Other important vitamins and minerals that should always be considered when choosing your child’s multivitamin and mineral supplements include vitamin K, vitamin E, phosphorus, magnesium, potassium, zinc and selenium. Avoid supplements that contain sugar, colourants, additives and other non-nutritional ingredients. Fillers such as lactose and preservatives such as sodium benzoate can cause allergic reactions and should be avoided. Where possible, supplements should be bio-identical or bio-available, which refers to the extent to which your body can absorb and utilize nutrients. Do multivitamin and mineral supplements have any adverse effects? Multivitamins can be good for your child but may also have a negative impact. Always discuss the supplements you give to your child with your primary contact practitioner, as certain supplements (including vitamins and minerals) can interfere with the effect of certain types of medication. Also keep in mind that more than the normal or recommended amount of a vitamin or mineral, for example iron, can have a devastating effect on the organs involved in excreting the excess volumes. Always strive towards balance. Details: Pure Health Centre on 011 954 6091 or visit them at 218 Voortrekker Road, Krugersdorp.